Hello, everyone! As we kick off the work week, I thought it would be appropriate to bring back my Polished Professionals series with a product that I've been testing for a few weeks now. It is currently replacing my old standby survival pack. 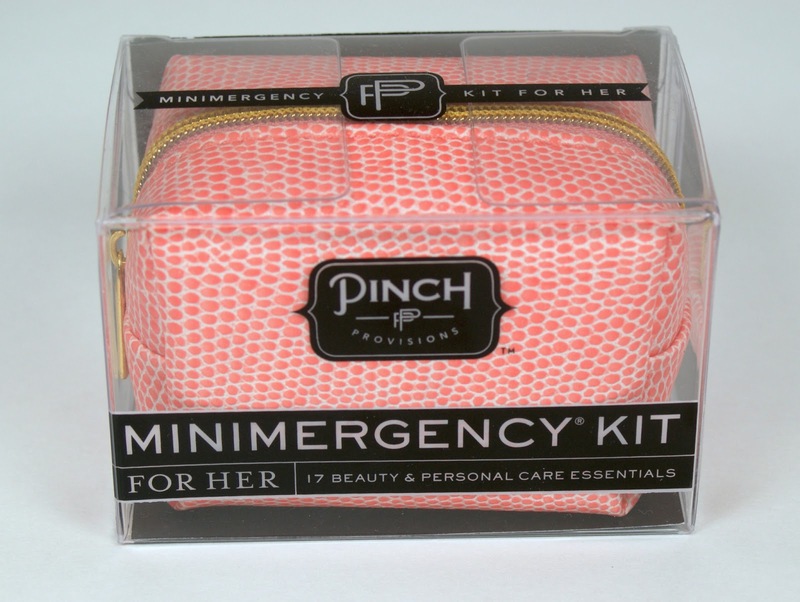 The product is called the Minimergency Kit by Pinch Provisions and it's a 3.5" x 2" x 2" case with seventeen items that any woman might need "in a pinch." 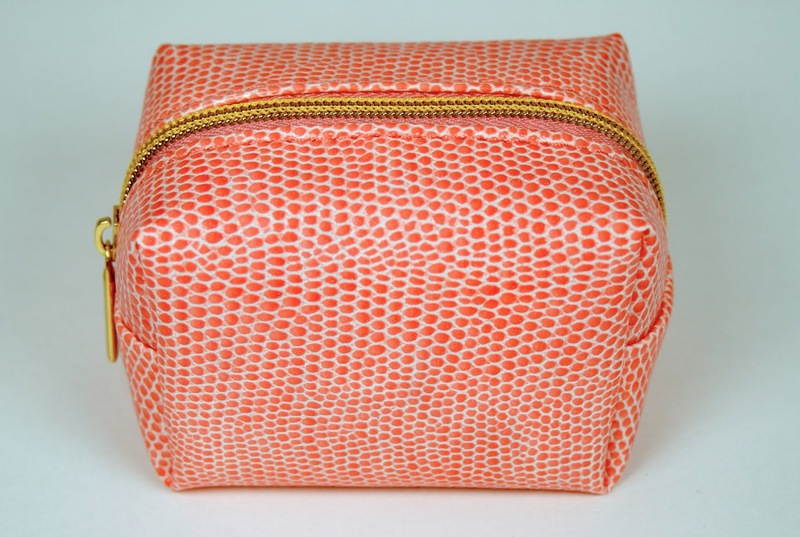 The Snake Charmer (snakeskin) bag was just released for Spring and comes in four colors: Mint, Cherry Blossom, Blue Raspberry, and Tangerine. I received Tangerine! 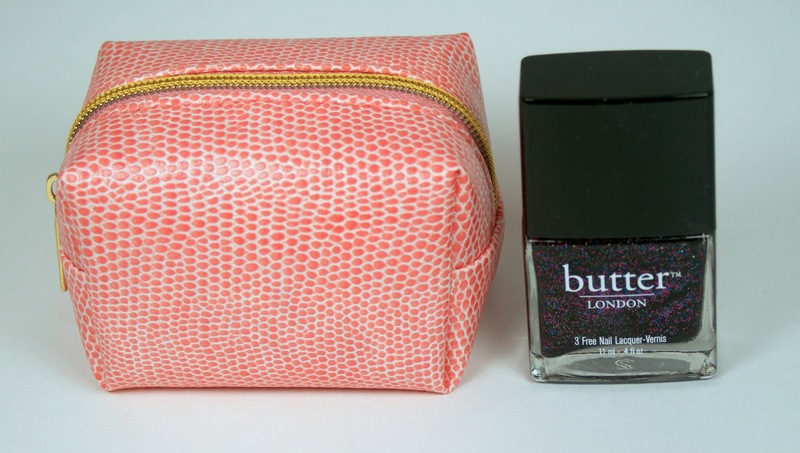 Just so you can picture how small it is, here's the Snake Charmer kit next to a bottle of butter LONDON polish. Here are the seventeen items in the bag! Look how much fits in the bag! 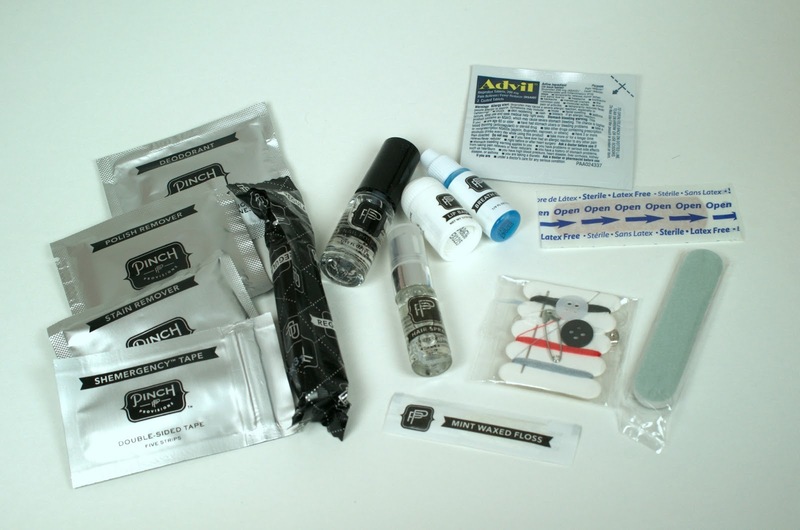 Everything inside: hairspray, clear nail polish, nail polish remover, emery board, lip balm, earring backs, clear elastics, mending kit, double-sided Shemergency tape, stain remover, deodorant towelette, pain reliever, tampon, breath freshener, dental floss, and an adhesive bandage. Overall, I got a LOT of use out of this product. 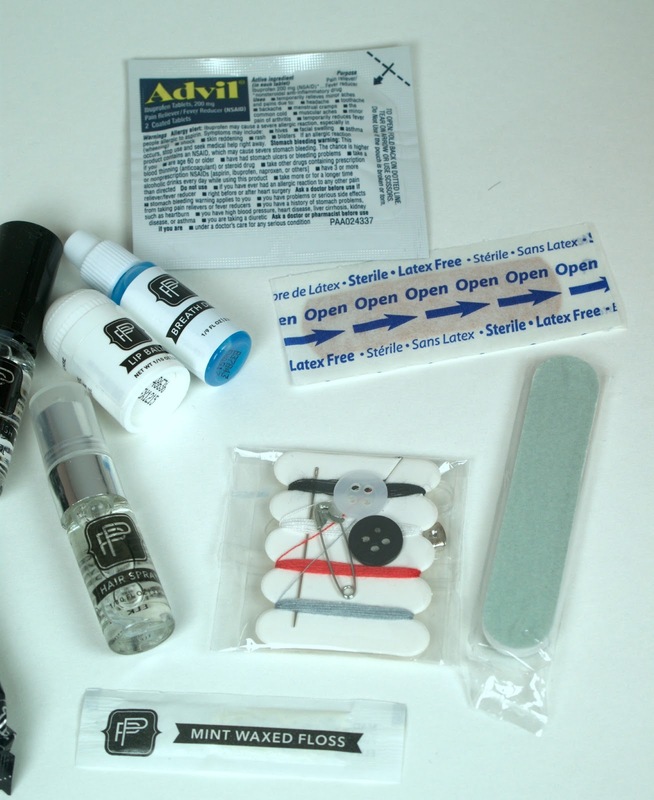 I have already used a bit of the hairspray, the bandaid, the Advil, and the breath drops. It's SO small that I don't have to pack a huge emergency bag (like the one I previously posted about here). With this tiny bag, I have peace of mind that I'll always be prepared for anything and everything! 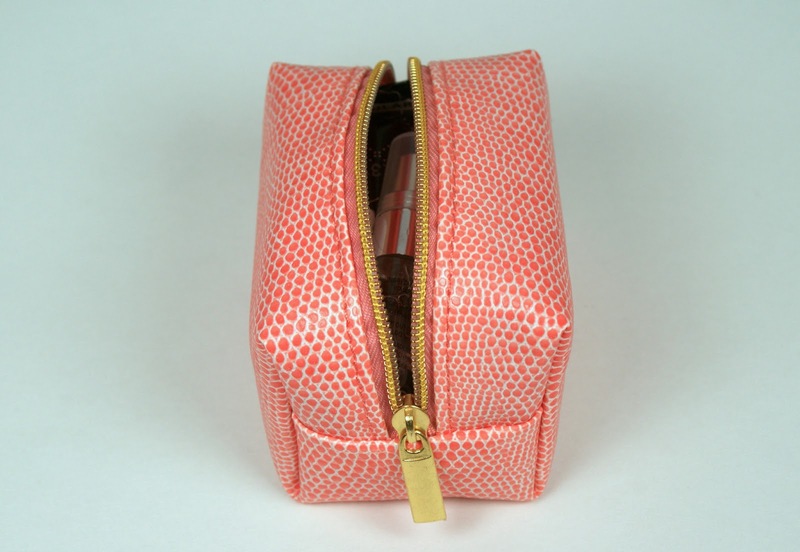 The Snake Charmer Minimergency Kit is available at the Pinch Provisions website for $15. It comes in four different colors, as well. 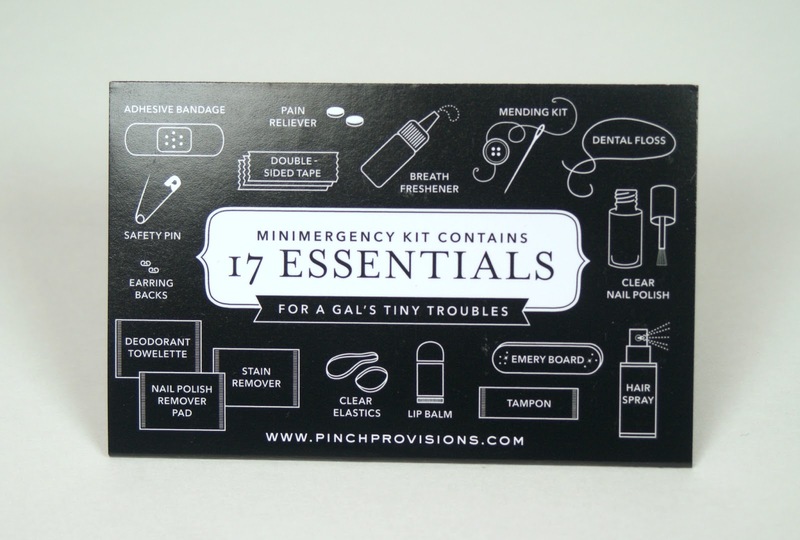 Pinch Provisions also offers a variety of other similar sized and larger kits, including one for moms, expectant moms (a labor and delivery kit), brides, grooms, bridesmaids and groomsmen (including back up wedding bands! ), college students, and middle/high school girls. Ranging between $15 (the mini kits) to $45 (the extra large kits), these make AMAZING gifts for friends, family, and members of your wedding party. It's very affordable and cost effective. And, well, a great idea altogether! Alright, how cool do you think this is? Would you get one? Would you get one for a friend? Let me know!